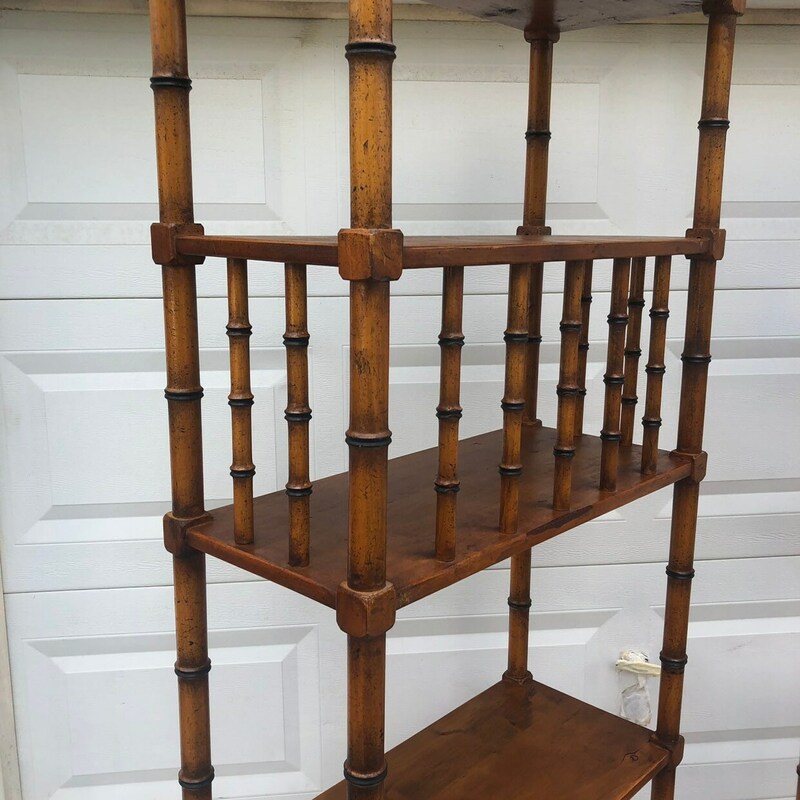 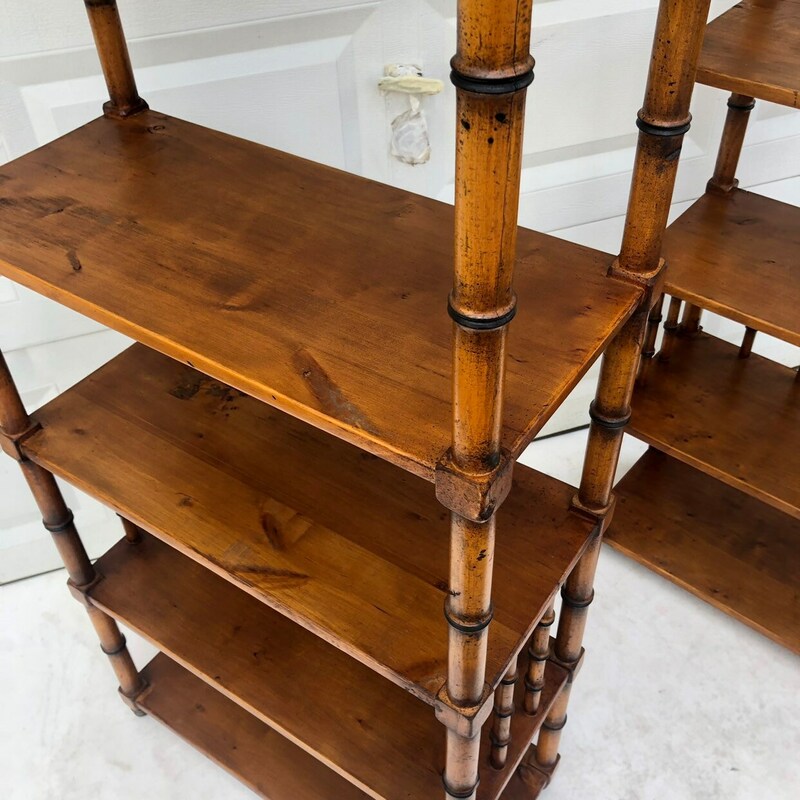 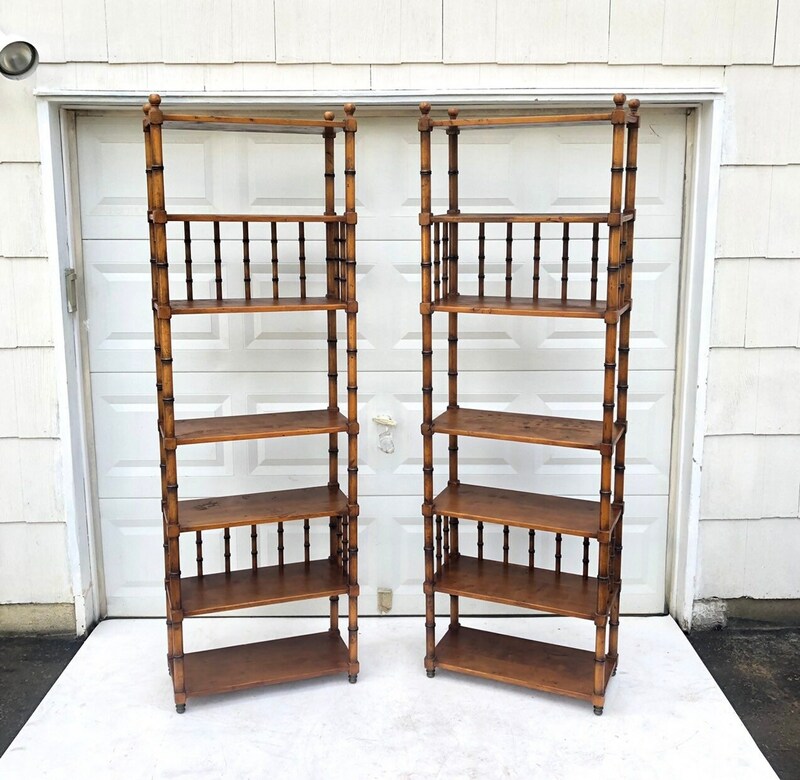 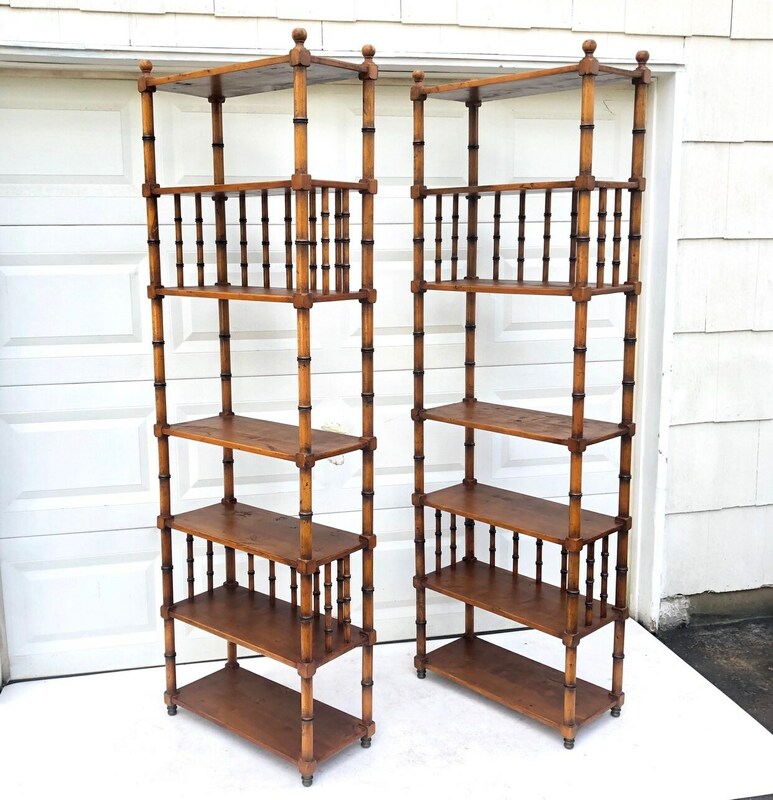 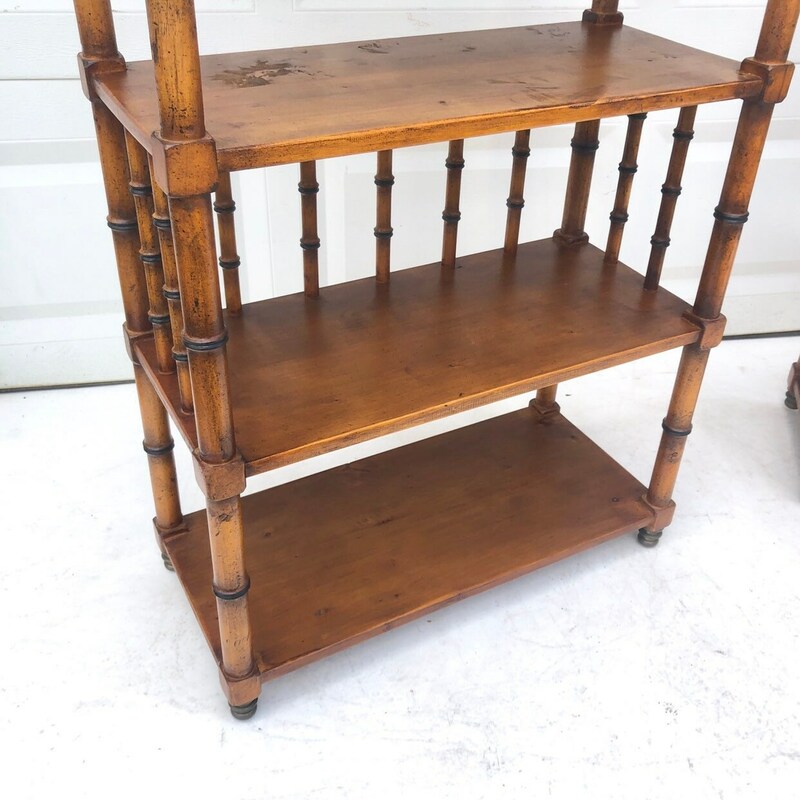 This stylish pair of vintage boho bookshelves feature carved wood construction in faux bamboo style, offering an elegant and unique display shelf for home or business setting. 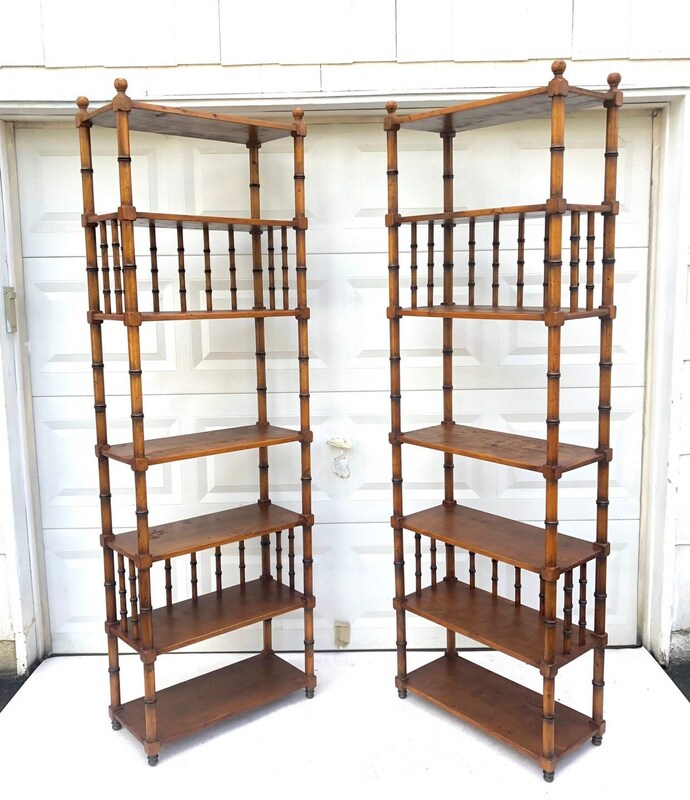 Offering six shelves for storage and display of any kind, this matching pair make an impressive addition to any interior. 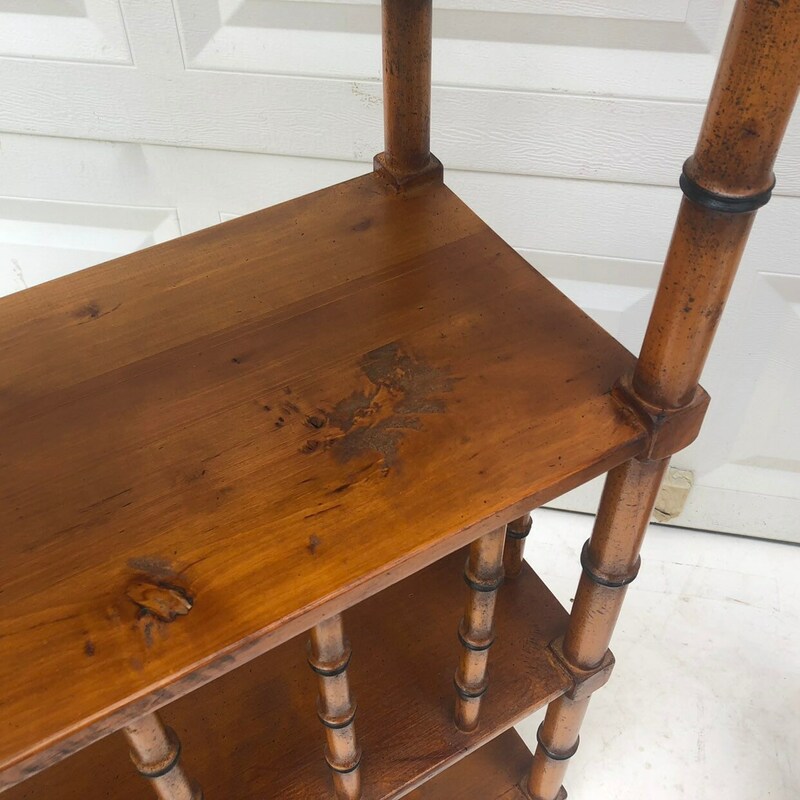 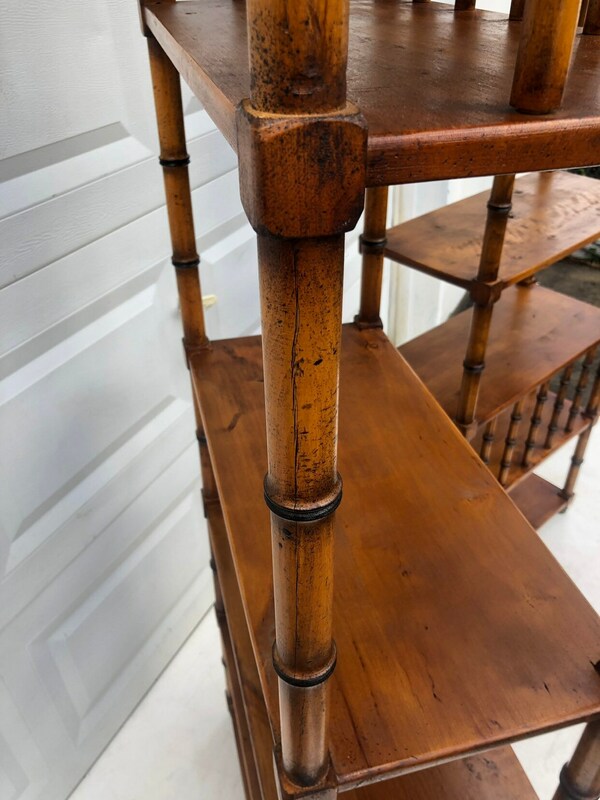 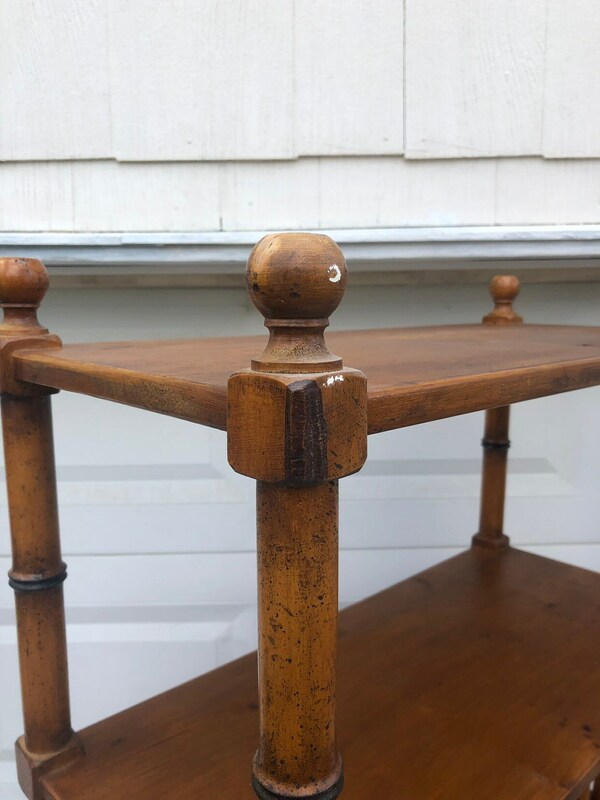 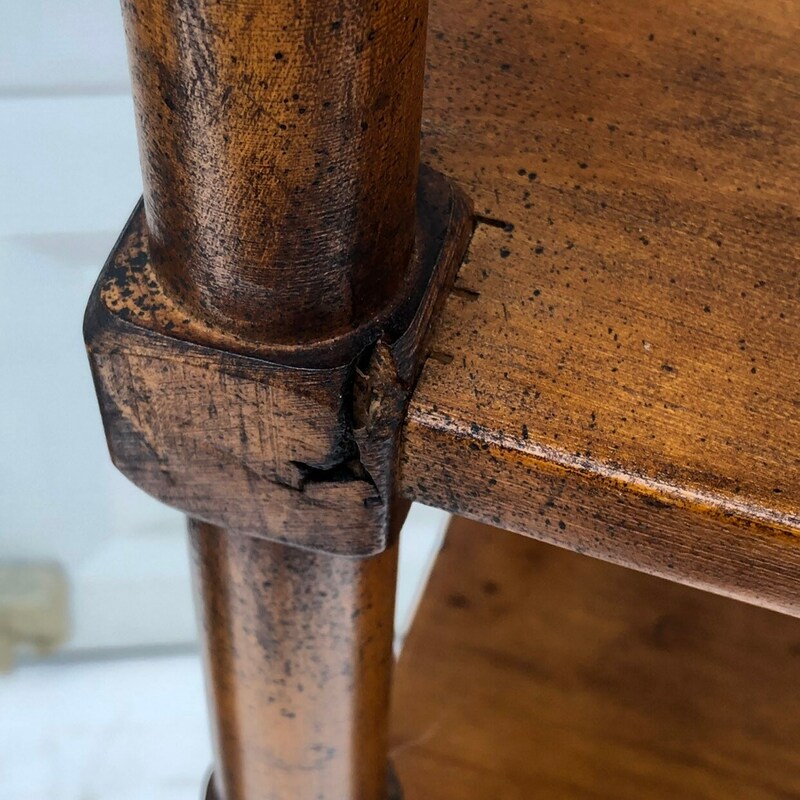 Condition: age appropriate wear, vintage finish worn in areas, some scuffs/edge wear, some blemishes on shelves, small losses on edge (see photos).